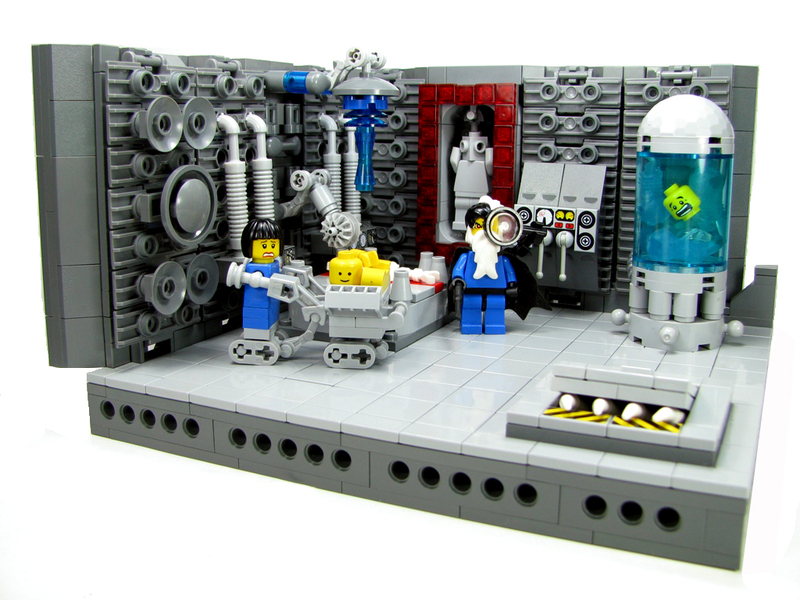 “Deep in his heavily fortified lunar lair, the lunatic Doktor Frank N. Staines plays re-creator of life.” Click through to the Flickr photopage to read Fedde’s full description, and see the Brickshelf gallery for more pictures. Damn, I’ll need to steal that wall idea. If my friend Forest and I see a moc (generally on brickshelf) that looks very good in our opinion, then we will bet eachother that it will or will not be featured on the brothers brick in the next two days. I wonder what lies beneath the cold metal lid of grey.